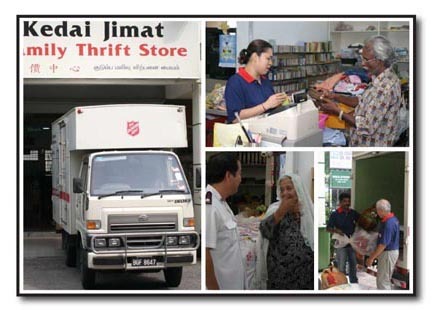 The Salvation Army Family Thrift Store in Penang provides affordable clothes and household items to members of the public. The Store can arrange to collect large donated items such as furniture or electrical items. If it's too good to throw away... give it to The Salvation Army! Monday to Saturday 8.15 a.m. to 5.45 p.m. Items accepted Anything that is in good condition that can be used again. Also recycling items such as newspaper, scrap papers, tins, etc. Purpose/funding A number of donated items are given away to needy families in the Penang area each month. The remaining items are sold in the Store. Profits from sales help fund The Salvation Army's work in Malaysia.